There’s something exhilarating about any marathon, from the pulse of your heart when you take your starting stance to the final kick across the finish line. But here in coastal North Carolina, it’s both the spectacular scenery and the tremendous spirit of the community that attract thousands of runners from around the world to the TowneBank Outer Banks Marathon. Set between the Atlantic Ocean and the Pamlico Sound, the annual race held by Outer Banks Sporting Events (OBSE) each November is unlike any other, spanning from Kitty Hawk to Manteo and passing iconic landmarks like the Wright Brothers National Memorial and Jockey’s Ridge State Park along the way. 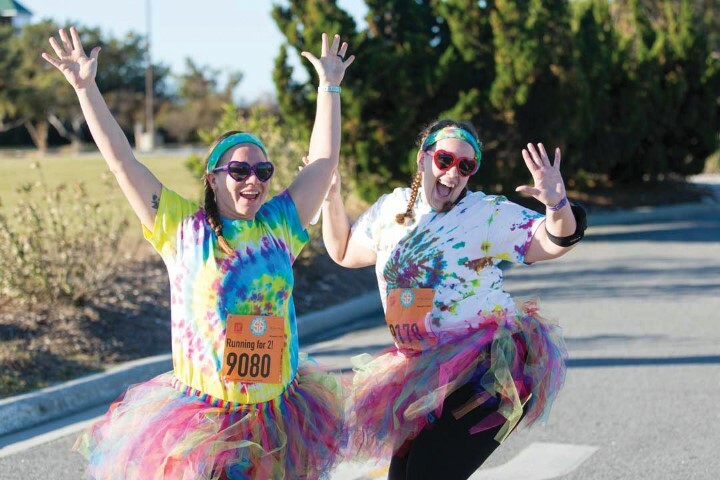 Now in its 13th year, the Outer Banks Marathon and Southern Fried Half Marathon is the biggest annual race for Outer Banks Sporting Events, a local nonprofit that organizes sports competitions that are fun and health-focused while helping those in need. 100% of net proceeds from events like the Flying Pirate Half Marathon, Storm the Beach obstacle course, the Outer Banks Triathlon and, of course, the Outer Banks Marathon go to the Dare Education Foundation and the Outer Banks Relief Foundation. It was a lifelong interest in nonprofit management that first led Robinson from internationally recognized groups like United Way and Boys & Girls Clubs of America to the OBSE team last year. Today it is his passion for healthy living and giving back to the community that helps him make massive events like the Outer Banks Marathon possible. Whether you’re a professional, a beginner or somewhere in between, you will find a race that fits your goals and style with OBSE – from 1-mile sprints to full 26.2-mile undertakings. 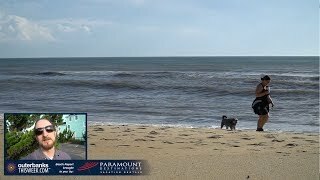 And the Outer Banks Marathon, happening November 11 this year, provides one of the most incredible opportunities to tour the Outer Banks for any athlete. The marathon begins in Kitty Hawk Woods Coastal Reserve then follows the soundfront in Kill Devil Hills via picturesque Bay Drive. After circling the Wright Memorial, it’s into the beautiful Nags Head Woods and then on to Jockey’s Ridge. 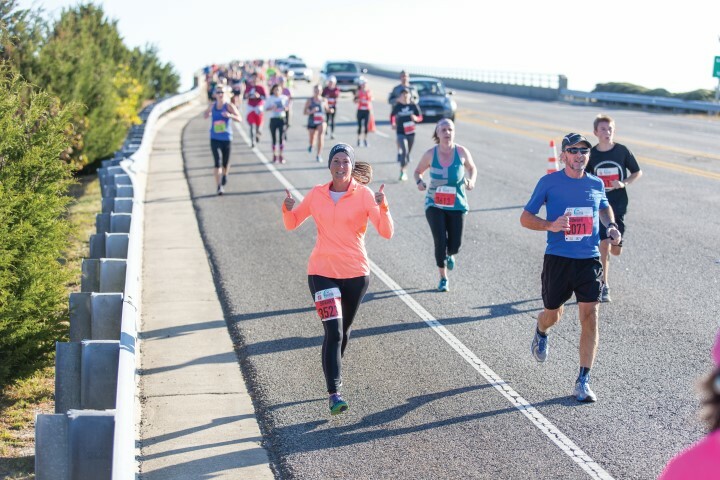 You’ll join the highway (where the Half Marathon course begins) and cross the causeway and bridge to Roanoke Island – which Robinson has taken to calling Heartbreak Hill, with it being one of the only hills that runners must conquer on the course. At the finish line in downtown Manteo, a post-race party of 10,000 to 20,000 runners and friends awaits, complete with a live band, local cuisine (in the past, Brunswick stew and barbecue), a beverage and beer garden and awards ceremonies hosted by Taylor Sugg of TowneBank. And participants aren’t the only ones dressed up. Of more than 800 volunteers, you may spot a group at Pirate’s Cove dressed in Forest Gump attire or the Delta Kappa Gamma teachers’ sorority dressed as bumblebees. “You could see anything out there!” says Robinson. According to Robinson it’s the volunteers that truly make Marathon Weekend and other OBSE sporting events, and it’s the desire to raise up our community that draws them. After all these years Outer Banks locals know the marathon as a holiday in its own right. 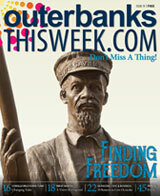 County commissioners actually made it official last year by declaring Outer Banks Marathon Weekend. And after all the work that goes into the race, there’s an incredible sense of accomplishment at the finish line that tops all other emotions that come with the day.